Today’s advocates of reason betray the legacy of the Enlightenment: Instead of seeking self-emancipation, they pursue a campaign of prosthelytizing. Modern scientists, as well as many political consultants, like to see themselves as heirs of Immanuel Kant: They are the offspring of the Enlightenment, secularists, with ideas that steer clear of mythical, irrational, or emotional convictions. Anyone who doubts their rational authority risks being labeled as an enemy of the Enlightenment. It’s tempting to shrug and laugh at the charge, but it illustrates the precarious state of the Enlightenment project today. 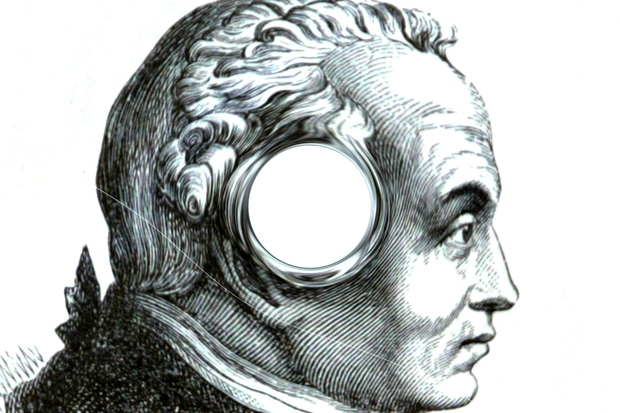 Two sentences from Kant are frequently quoted (and misinterpreted) in describing the Enlightenment: “Enlightenment is man’s leaving his self-caused immaturity. Immaturity is the incapacity to use one’s intelligence without the guidance of another.” The remarkable thing about these sentences is their reflexivity: Enlightenment is about me, about my self-inflicted immaturity, about my own capacity to use my intelligence without the guidance of another. Enlightenment is the lifting of the fog that clouds human reason, the removal of covers and veils, maybe even the illumination of the dark. It presupposes that some fog and some cover exist. The advocate of the Enlightenment is himself surrounded by the fog and cuts through it by way of reason, by learning to use his intelligence as a guiding light. Contrast that with the self-perception of today’s advocates of Enlightenment: Their mission is not the overcoming of immaturity but the spreading of the gospel of rationality to others. Their premise isn’t the problem of foggy immaturity but the assertion of their own insight and intelligence. They claim to have already seen the light. The misunderstanding of the Enlightenment project could hardly be more severe: The more I insist on forcing Enlightenment insights onto someone, the less likely that person is to encounter a situation where intelligence can be used “without guidance of another”, without a guide whose motto seems to be that Enlightenment is always for other people. Science cannot enlighten us – it can at most inform us, and we rightly expect scientists to do just that. If someone asks me when the next train is leaving, and I provide that information, I cannot claim to have played a part in the greater Enlightenment project because nothing was truly foggy and obscured either to myself or to the person asking the question. It would indeed be weird if the question was prefaced by a statement like “I’m uncertain about when and where…”. The person asking the question is surely aware that trains are running, that they depart from designated train stations, and that they generally follow a predetermined schedule. Enlightenment might be in order if the question was aimed at explaining mysterious gatherings of people alongside two parallel rails of metal – but in that case, the person would presumably be unfamiliar with so many aspects of modern civilization that the more realistic goal wouldn’t be enlightenment but simply understanding. Enlightenment would be a much harder task, and it would have to be achieved over time by the person himself. It could not be imposed from the outside. We can thus distinguish between the clarification of nebulous ideas, the explanation of interconnections, and the provision of simple facts. A true advocate of Enlightenment in the Kantian tradition would seek to enlighten only himself and nobody else. His aim would be to lift the veil that surrounds him, to clear the fog of his own breath, to rub his own eyes and clear them from the dust of his footsteps. The attempt to enlighten others is not only presumptuous (I have erred too many times to cling to the belief that I am somehow wiser than the rest in any matter of importance, and that I am somehow well-positioned to enlighten others), it also contradicts the spirit of the Enlightenment. It perpetuates power differentials and conditions of dependence instead of fostering the overcoming of immaturity. If that’s what we mean by “Enlightenment” today, I’ll proudly call myself an enemy of the Enlightenment.